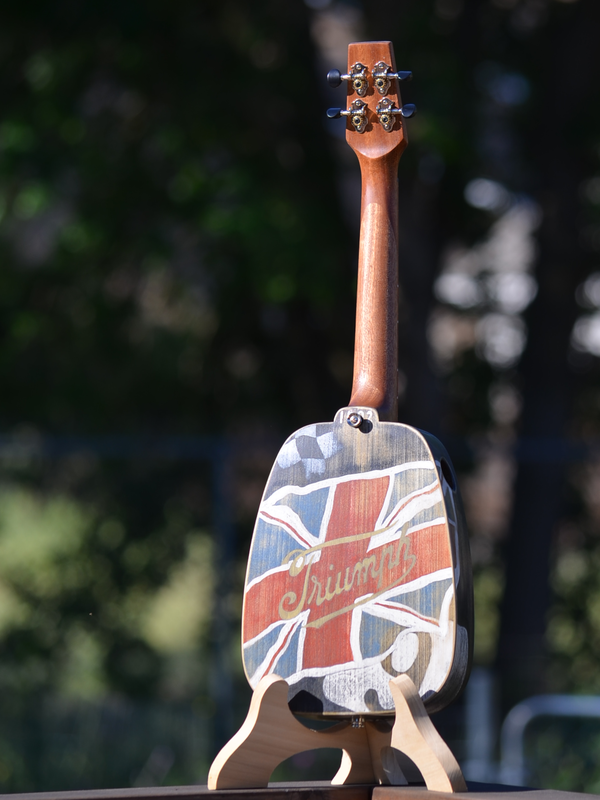 “Triumph” is is a triumph in a couple of ways. 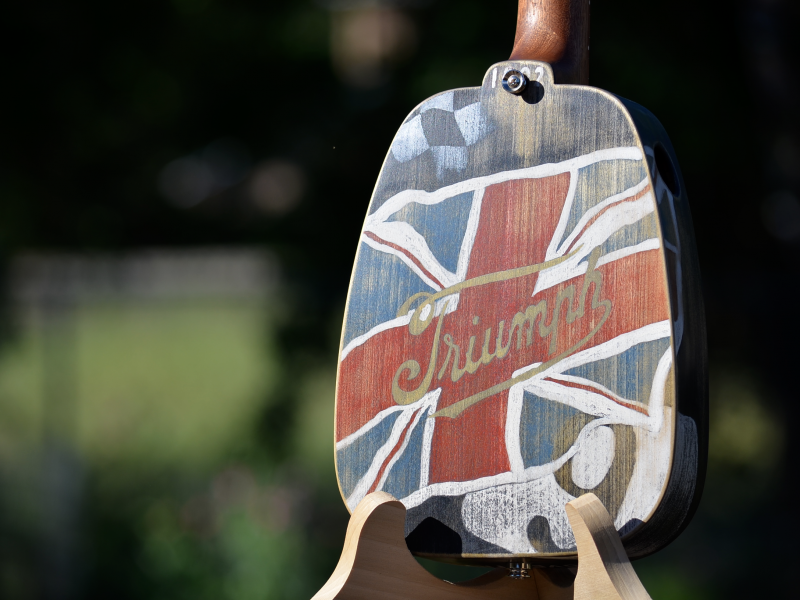 It’s a tribute to Triumph motors of Coventry England for one and a symbolic triumph of spirit as well. 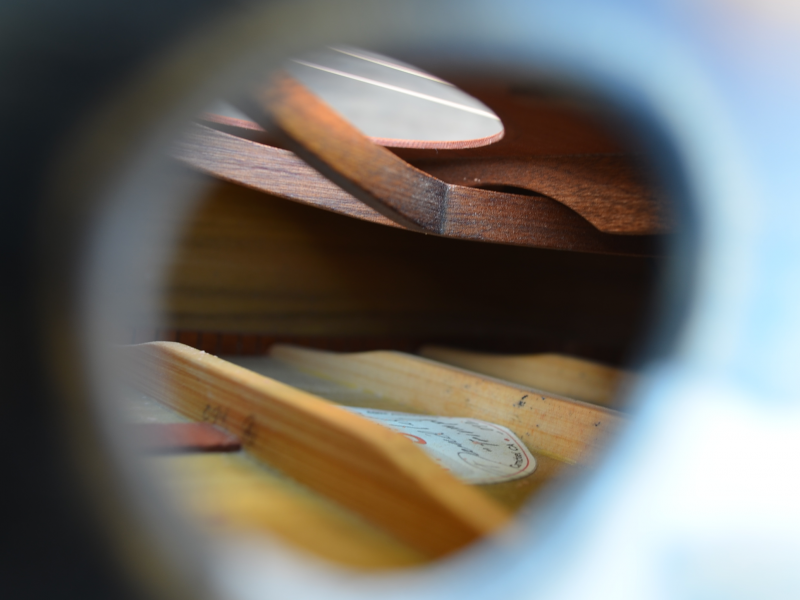 Suffice it to say that she is a significant instrument for us. 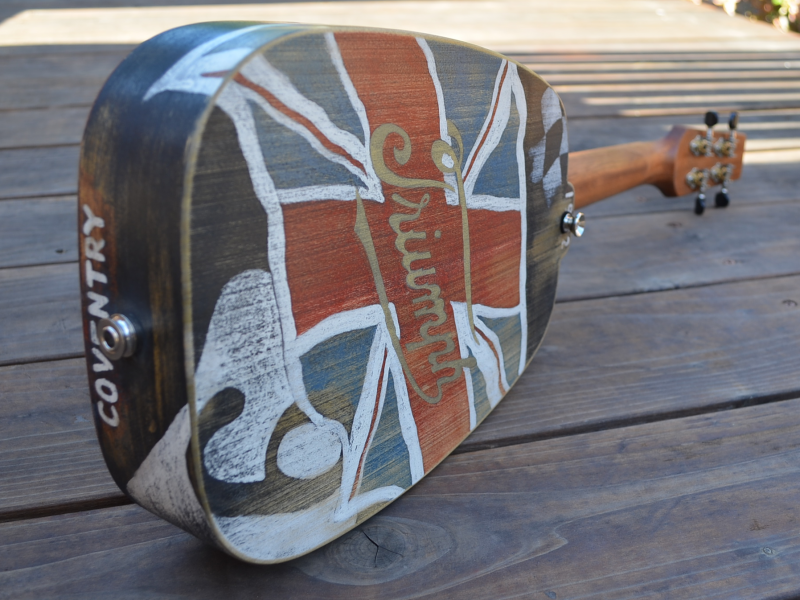 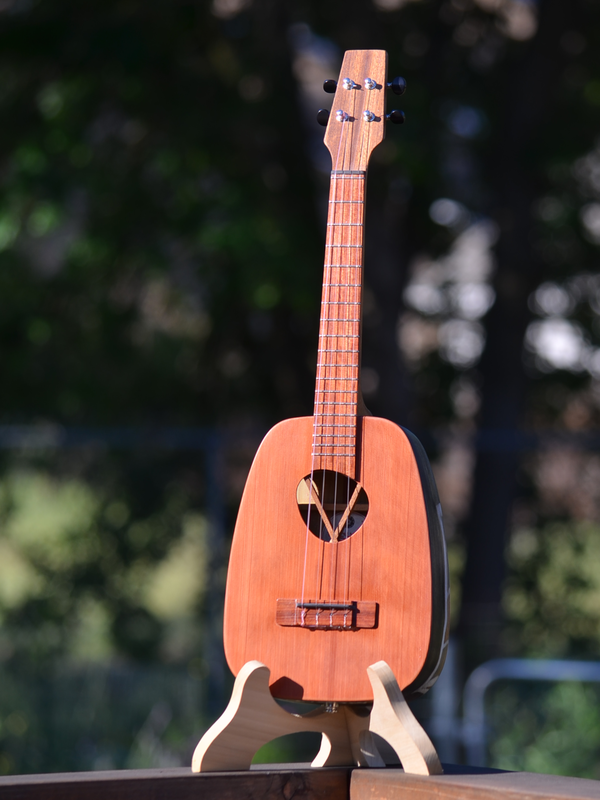 Ukulele Triumph is an IDeale™ tenor Keystone. 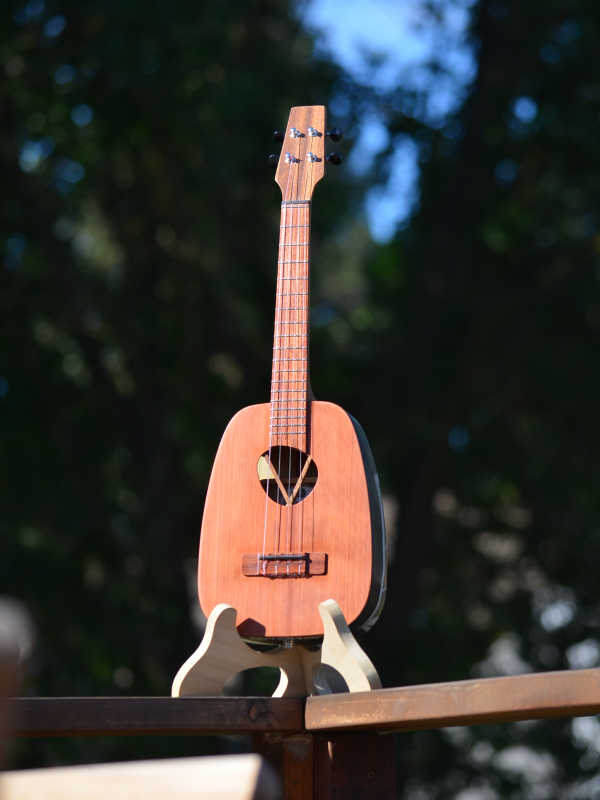 That is, she has an IDeale-size body with a tenor scale neck. 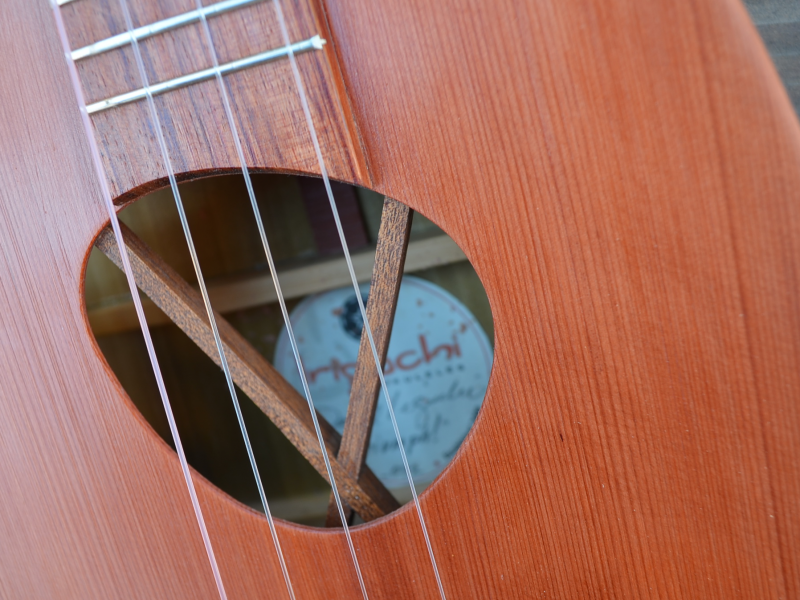 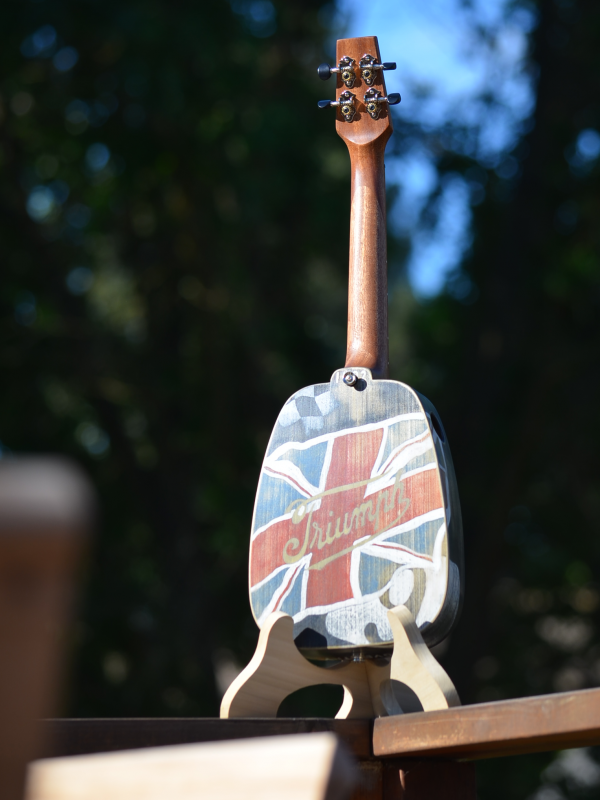 She has our signature wobbly sound hole and side port as well as our chopstick bracing. 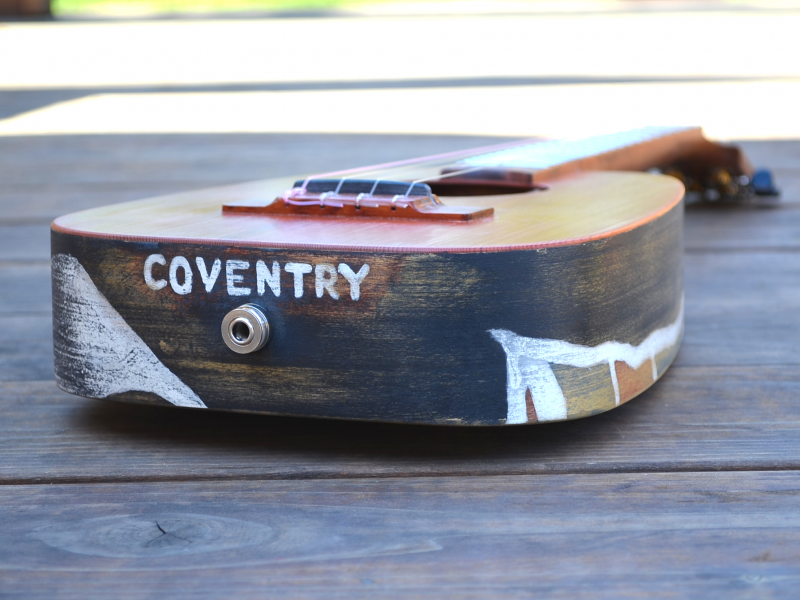 She’s painted with milk paint on her back and sides. 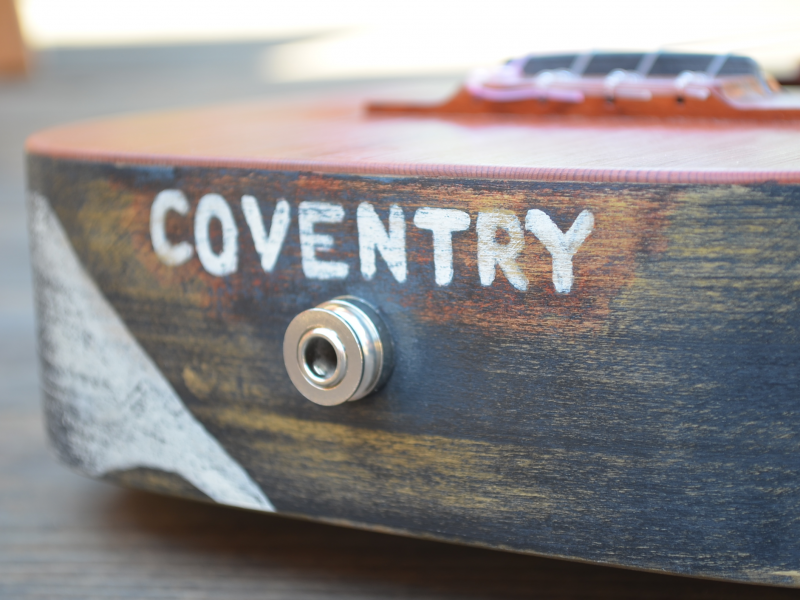 She comes with a K&K Sound Twin Spot pickup and is tuned low-G.